This post discusses file in use error which reports “The action can’t be completed because file is open in other program. Close the file and try again.” in Windows. Causes and several solutions are included in this page. If you do not know what do to with this issue, take a look at methods in this article. What is the action can’t be completed error? 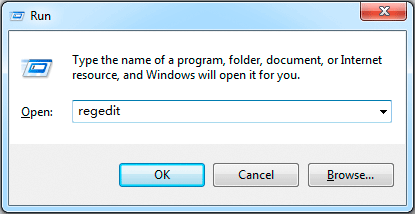 Press Windows key and R to open Run dialog box which can also be open by clicking Start and Run. 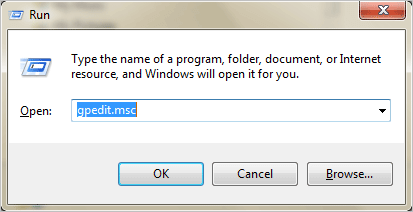 Enter gpedit.msc in Run box and click OK button to open Local Group Policy Editor. Click File Explorer from the directory on the left part and locate “Turn off the caching of thumbnails in hidden thumbs.db files”. This item is set to Not Configured by default. Double click it to open the setting window. Open Registry Editor. Press key combination Win + R and put regedit in Run dialog box to click OK.
Click Explorer from the left pane and right click empty area on the right part to select New > DWORD Value. Name the newly created DWORD as DisableThumbsDBOnNetworkFolders. Double click the newly created registry and enter 1 in the Value data section. Click OK and close Registry Editor. Method 3: Troubleshoot the action can’t be completed problem by disabling Windows process settings. Open File Explorer by double clicking Computer icon or pressing Windows key + E combination on keyboard. Open Folder Options window. For Windows 7 users, click “Organize” button from the top left corner and select Folder and search Options. For Windows 10 users, click View tab and click Options and then Change folder and search options. Click View tab from the Folder Options window and scroll down to locate “Launch folder windows in a separate process” option in the Advanced settings section. Disable this option and click Apply followed by OK. This entry was posted in Partition Manager and tagged file open in another program, folder in use, the action can’t be completed by EASSOS. Bookmark the permalink.